Got HDMI? HDMI Output, Auto Focus and 30fps display make the smallest details sharp and crisp - with AVer's 300AFHD Document Camera. This is the legacy mechanical arm document camera that established AVer's high quality reputation and transformed the learning environment for students and teachers nationwide. 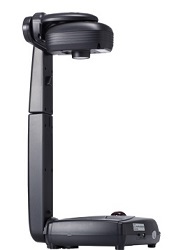 With the 300AFHD document camera’s full 1080p HDMI output, you are now able to connect your document camera to HDMI displays and upgraded HDMI projectors, allowing you to see the HD image quality you were meant to see. 14.68" x 6.85" x 21.34"